Motivated by love and desperation, an area mother is fighting an uphill battle to treat her daughter’s chronic illness with a special cannabis oil. The establishment, predictably, is against her: the doctors aren’t keen; the child-welfare authorities aren’t amused; her ex-husband, the child’s father, called the cops. Still, she soldiers on, with the dedication a mother feels deepest, determined to alleviate her child’s chronic respiratory condition. In order to protect the woman’s identity — also guarded by child-welfare laws — the Citizen has decided not to use names, places, age or other identifying characteristics about the child, a primary-school aged girl. The girl in question suffers from a rare condition (which we won’t name) that results in tumours regularly growing in her breathing passages. The only real treatment is surgery, of which she has endured more than two dozen at the Children’s Hospital of Eastern Ontario. The possibility of using marijuana was first suggested by a friend about three years ago, the mother said, because he used it successfully to treat his symptoms of PTSD. “I laughed at him and said ‘You’re crazy.’” But it sent the mother on a path. She began researching the medical benefits of cannabis and discussing the matter online, in forums for the similarly afflicted. 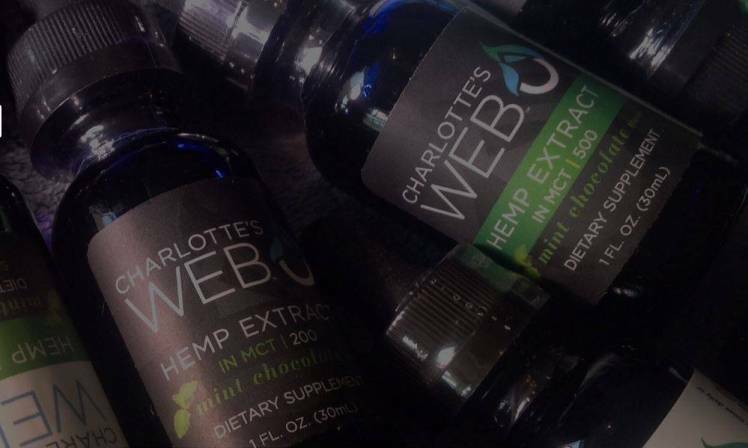 She learned about Charlotte’s Web, the name given to a cannabis oil made especially for children. Legally produced in the U.S., it is low in THC, marijuana’s psychoactive compound, but high in so-called CBD, or cannabidiol. The mother said she visited all the marijuana clinics she could and raised it with the physician who was regularly treating her daughter. “He shut me down,” claiming he did not know enough about CBD to prescribe it, she said. Meanwhile, her daughter needed eight to nine surgeries a year just to survive. This became her great dilemma: She could not find a physician who would prescribe the oil for the girl and monitor its effects. So she decided to go it alone. How much worse could it be, she thought, than the powerful drugs conventional medicine was trying unsuccessfully? She got her own medical marijuana licence (citing depression and anxiety), and ordered some product. Painstakingly, she made the first batch of oil and administered it with food in December. She explained to the girl’s father what she was doing. She believed they were in agreement about the treatment. However, the next time he had weekend custody, the mother says he called the police. The child was taken to the hospital for a urine and blood test, where cannabis was detected. She says she explained the whole story to the police, who declined to pursue charges. The father, meanwhile, was attempting to gain custody, claiming she was an unfit mother who was not qualified to be making medical decisions on the child’s behalf. She got her daughter back several days later, but only after agreeing to stop the CBD treatment. She said the family court judge wants to see a clean urine test in June to ensure she is complying. She, meanwhile, is committed to finding a physician who will prescribe the CBD to the child, so there is no issue about medical supervision. Dr. Michael Rieder wrote the position paper for the national paediatric society. It has long been known that cannabis can help reduce seizures, he said, because it works on the brain receptors and neurological system. Even at that, however, physicians don’t have the usual comfort level they have with other medications, normally backed by scientific trials. “Evidence supporting the therapeutic effect of cannabis in children with epilepsy is sparse,” the paper states. It is full of caution because the adverse effects of cannabis, particularly on early brain development, are worrisome. Dr. Rieder was asked if the use of cannabis was controversial in paediatric circles. And so a mother is left alone, operating on her own intuition, in a high-stakes game of hope versus science.